My ever favorite comfort food aside from buffalo wings.. Ribs! Especially the ones smothered in sweet, tangy and smokey barbecue sauce. 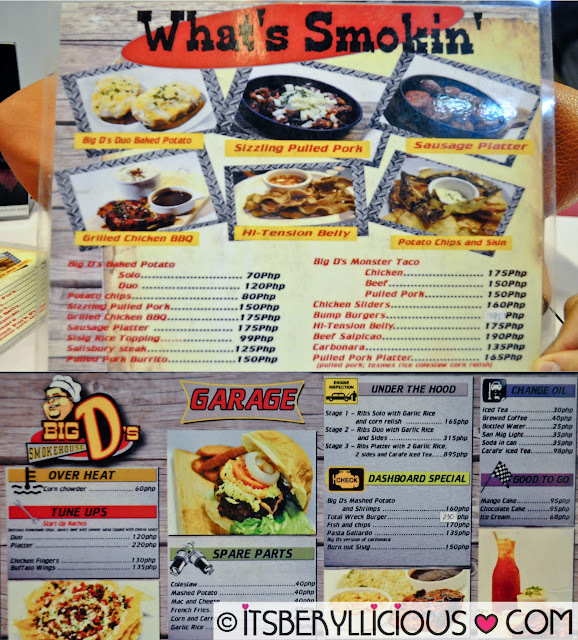 We went all the way to Katipunan to try Big D's Smokehouse. 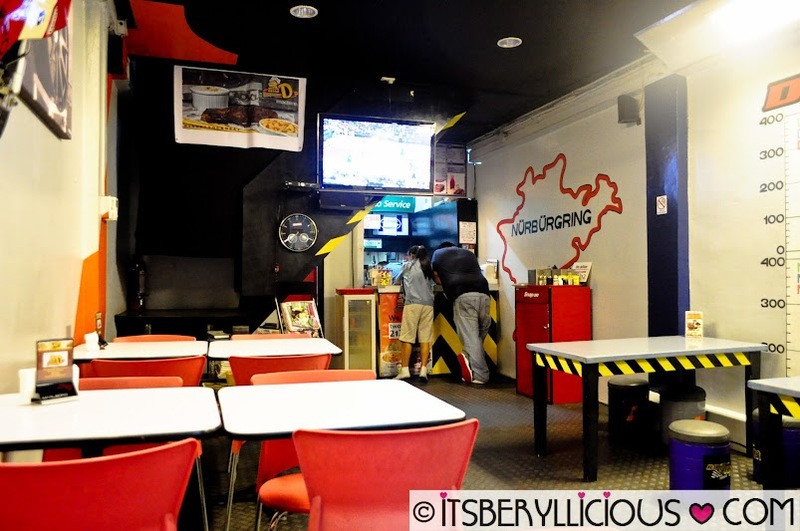 The place was like a pitstop and we were the hungry race drivers scouring for food. 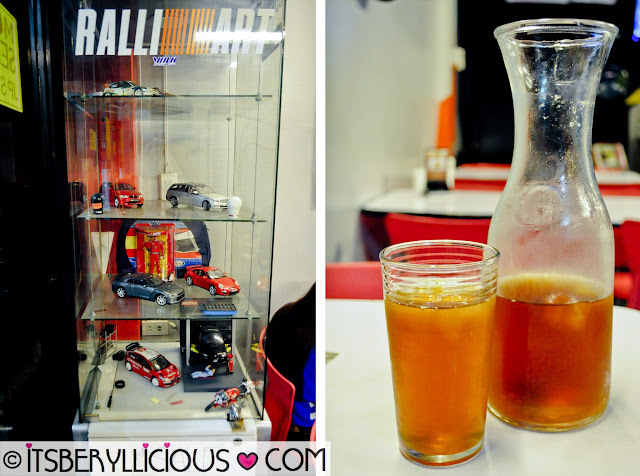 Fueled up with a carafe of Iced Tea (P98) to refresh ourselves after a long drive. It tasted like fancy apple flavored iced tea mix but nevertheless it was thirst quenching. Tuned up with some Nachos (P120) of homemade chips, beef, salsa and cheese sauce. 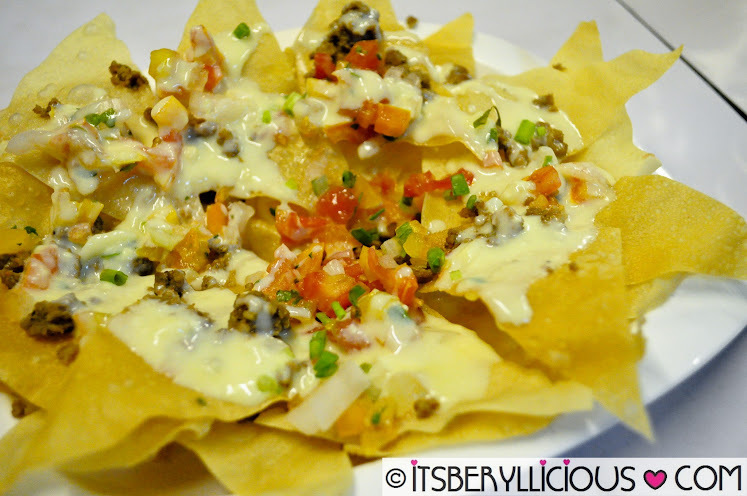 A great starter and could be quite addicting if not for the oily chips that easily break. 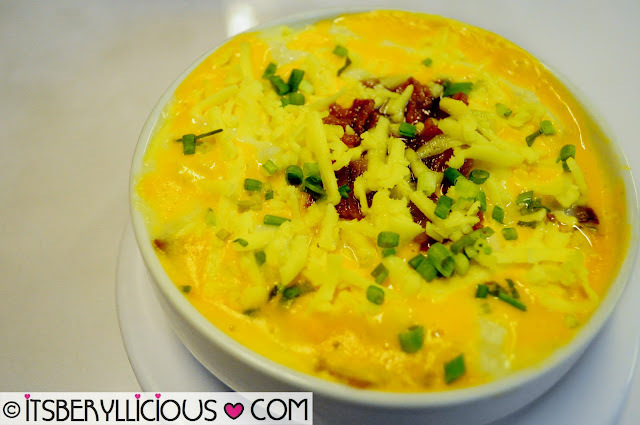 Equipped ourselves with a spare part of Big D's Baked Potato Duo (P120) to keep us energized along the way. It was so cheesy and creamy which I like, but it was a bit oily too. 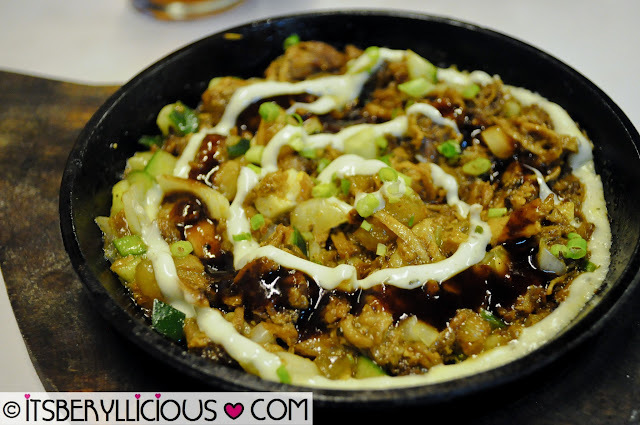 Sizzled up the engine with this Sizzling Pulled Pork (P150). A bit small in serving size but enough to last the afternoon. Tasty and meaty but again, oily. 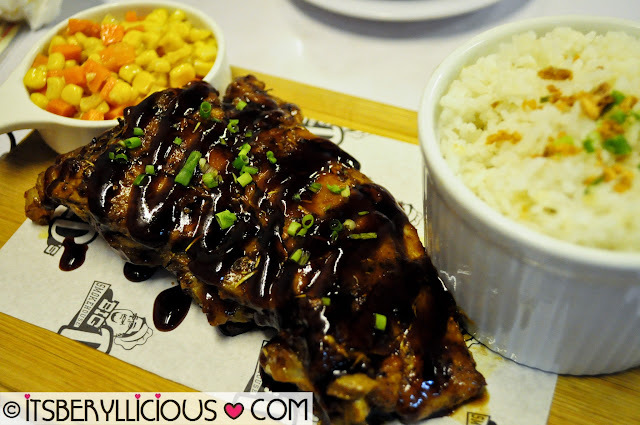 Last but not the least, the Stage 2 Ribs Duo with Garlic Rice and Corn Relish (P315) was the perfect engine under the hood. It was tender and juicy with a tangy hint of mustard and sweet barbecue sauce. We're always been a loyal toyota user since there offer great after sales service. TheFuel-Cell Vehicle Reality and Revolution (FCV-R) looks promising! Speaking of which, I really wish the all-original, true-blue Texas-style bbq and ribs will be brought here. Or, maybe you do know a resto that serves like it? Been watching all those Texas-style bbq on TLC (think the "Man vs. Food" guy)! Looks so yummy and price is reasonable. Will try this.